Bo Kim joins us this week to talk about how he made the decision to start investing across the country and managed to grow his portfolio to 16 doors in his first year. If you have ambitions of getting started in real estate but feel overwhelmed by getting started, Bo is a great example of how to jump in. He explains how he decided where to invest, then his strategy for buying and financing his properties. We also talk about buying turnkey properties, delayed financing for the BRRRR method, seller financing and partnerships. Bo has a very straight-forward approach to his investing that is repeatable and consistent. Bo also runs the site biggercashflow.com and the Instagram page @BiggerCashFlow so go check them out! In this episode of The Best Job For a Real Estate Investor, I’m joined by Bo Kim. Bo lives in LA (and for my Alabama friends, that is NOT Lower Alabama). While Los Angeles is an expensive market to invest, Bo has focused his efforts and found success on long distance investing in 11 out of state units (something I hope to do later this year). Not only does he share the name with one of my childhood heroes, but he he has also incorporated one of his catch phrases: Bo Knows Cash Flow. And yes, I still have a box full of baseball cards. The only time I’ve ever been star struck was while eating dinner approx. 5 years ago and in walked Mr. Vincent Jackson (how can I get him as a guest on here???). Anyways…after talking with Bo Kim, I’m CONVINCED that being an Auditor IS THE BEST JOB when it comes to investing in real estate on the side. Why Cash-on-Cash Return is important to Bo. Auditors deal with Business Risk Management and SEC Regulations -> key for RE investors. I am not Bo Kim – he is!! 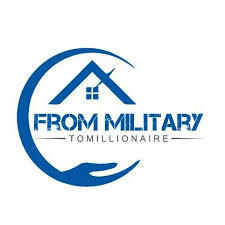 From Military to Millionaire Podcast Episode 18 - How to buy 16 units in your first year of real estate investing! Bo Kim is an accountant, real estate investor, and blogger! Bo has been investing in real estate for a little over a year and has already purchased 16 rental units! Bo has used all sorts of creative financing method, to include seller financing, home equity line of credit (HELOC), and loans from his 401k. His advice to an 18/20-year-old is: Financial education is key, learn the difference between an asset and a liability, and then act accordingly! the resource he recommends is: BiggerPockets, Facebook (niche real estate investing groups), and stories from other investors! Today's show features Bo Kim based out of Southern California. Bo is a Business Risk Consultant with a background in accounting. He has an awesome story of jumping right in after starting with a house hack on his personal residence. From there he spent just a handful of weeks educating himself before he went ahead and bought his first investment property. Bo's focused on turn key rentals in the Midwest and today he talks about the benefits of turn keys and how to get started with out of state investing. This is a good show for anyone looking to get into the game through turn keys and Bo offers some great tips to make it happen! 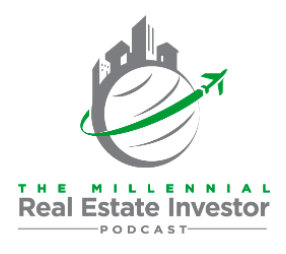 On this interview, Michael and I discuss how a recession impacts the rental market and how investors can prepare. Bo Kim - real estate investor from Orange County has grown a portfolio of singles and doubles in three different markets all within the past 18 months! Bo takes some time with Dr. Matt Motil to share how he got started, what motivated him, and 3-4 different strategies he's used to finance his purchases. This is a great episode for anyone new or starting out in their portfolio that needs some motivation to get things going! If you'd like to watch this episode, you can head over to the YouTube channel at www.drmattmotil.tv. Make sure you like, comment, and subscribe to the channel while you're out there! Bo got his start in real estate with the famous “house hack” method. He rented the extra bedrooms of his single family home. After that, he started acquiring income properties and now owns 6 rentals, all acquired in the first 6 months of his investing career. To hear how he’s been able to hit the ground running, tune in to this episode! If you enjoyed today’s episode remember to subscribe in iTunes and leave us a review! Bo Kim is a buy and hold real estate investor from Southern California and has picked up 6 rental properties just 6 months since closing on his first property. He invests in working class neighbourhoods across the markets of Indianapolis, Kansas City, and Little Rock. During the day, Bo works as a senior consultant for a regional CPA and hopes to create passive income to become financially free and also educate others to do the same.